Himmawarie Mar 28 2018 12:55 am Kang Min Young (born Kang Minah). Some source said that she is an actress too, but never heard of her works. For him to marry her after 15 years date, is amazing, he must very in love with her. Unfortunately, no news about their children. 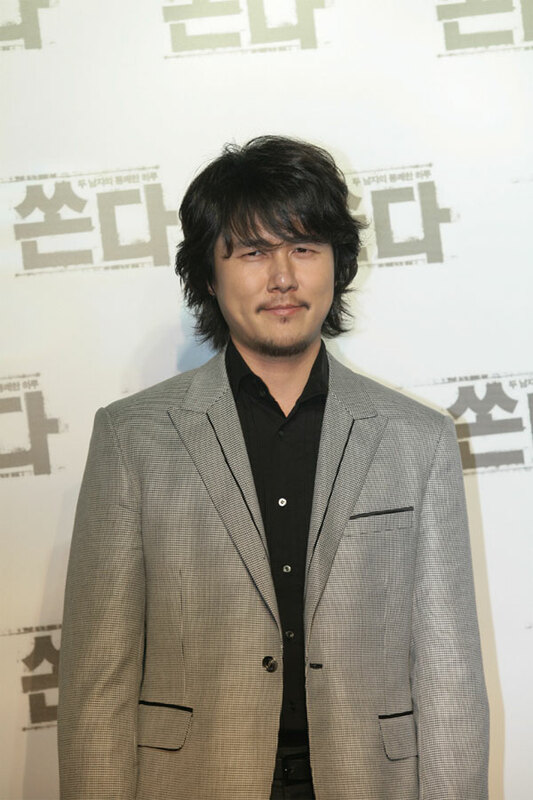 Kam Woo Sung keep his private matter off from public. He rarely do any project too. It's too bad because he is such a great actor. KT Mar 27 2018 8:43 pm Who is he married to?? Himmawarie Mar 27 2018 1:48 am Yes, he already married his long time girlfriend (15 years) in 2006. Try to watch Should We Kiss First...His acting is very good, there is no flaw in his acting. Although he is quite old (47 yo), he still can make your heart fluttering from only his gaze and voice. Helen Mar 26 2018 2:56 am Is he married? Che Dec 18 2017 9:40 pm I enjoy watching the spring day of my life. I'm still in episode 4 and I really like you now. You're very charming. jinjoo Jul 09 2017 4:21 pm am rewatching spring days which seemed to be his latest drama in 2014! i wonder why he's not doing any more projects, he's a great actor and handsome at that! pls do another drama! we miss you! octaryne May 08 2017 12:28 am Why did you drop the role in Saimdang?... I like Song Seung Heon but I think it would be perfect if you became the main lead.. I hope you don't mind to accept any role.. we would love to see you in many dramas..
Bluenose Aug 16 2016 9:54 pm I've only seen him in Alone In Love. He should do more K-drama work. He reminds me of Woo Sung Jung. Rainbow Fish Jan 04 2015 12:48 am Kam Woo-Sung is one of the most charismatic and talented actors working today. He should be getting better film roles. I loved his performances in Spider Forest and The King and the Clown. my3views Nov 18 2014 4:17 am First saw him with Lee Joon Gi in the movie The King and the Clown. His acting was a perfect complement to LeeJonn Gi's role. He deserves more roles then he get. The directors and casting crew need to see My Spring Day and The King and the Clown bc both are quite different and show off his diverse talents. Coolrepublica Oct 26 2014 9:53 pm Kam woo sung is the Bogard to choi sooyoung's Bacall. They were meant to act together. He is says sooo much with just his eyes. The man can make you feel a thousand emotion with his eyes. I hope to see him again soon. 4 years would be just too much. SJ Oct 14 2014 4:55 pm awesome in spring days! pls don't let us wait too long for you to do another project :) luv your acting in the dramas/movies i've seen! more power & blessings to you & your family! Prescilla Sep 20 2014 6:17 am He is amazing in as Dong-Ha in The Spring Day of my Life. Dramadairy Sep 14 2014 1:59 pm He is fantastic in The Spring Day of My Life! Ghost Hee Apr 14 2014 3:52 am May I know where is this awesome actor? His last project was in 2011 :(( Make a comeback soon! Jay Christopher Dec 20 2013 9:43 am Fantastic YES, thrilling YES, memorable YES, will watch him Anytime Anywhere YES, He did such a tremendous job in this drama I would hope his peers would award him with what would be comparable to an American Emmy. I have seen many historical Kdramas and love them all, but this one was different, THIS MAN WAS BELIEVEABLE more than any other I had seen! Its hard to put into words, but if you've watched this drama and this guy face a hundred different circumstances in this drama, he brings something just a little different to each situation. lucy Jun 14 2013 2:39 am this guy is a fantastic actor!!! no words to describe his greatness!! J. Knauer Oct 21 2012 11:37 pm Why aren't more people talking about this guy???? He's a fantastic, dedicated actor, but it's others who are getting all the attention. I guess he's not flashy enough, or young enough(?) Can't the masses recognize real talent when they see it??? Aeri Aug 12 2012 8:16 pm Been a major fan of this man since Spider Forest. I second the underrated factor for him; it is an utter shame that he's not getting all the attention he truly deserves. Also, I think it's adorable that he's such a huge fan of Celine Dion. Gasenadi Feb 22 2012 6:36 pm His portrayal of Jang-sang in The King and the Clown was Shakespearean! He NAILED that ending and had me crying for days after seeing the movie. Now I'm on a quest for the rest of his movies and dramas. Many blessings from Puerto Rico. SUHANA RAZALIEGH Jun 26 2011 10:15 pm Me and my family are from Melaka, Malaysia and we are great fans of this tv series. Kam Woo-Seong played the part brilliantly... :) .. I was sad the seried ended yesterday with Eohara died sitting facing the sea of Baekje.. very touching..
Nanci Yin Nov 28 2010 6:23 pm I watched the King and the Clown and Alone in Love. I was perplexed and totally amazed by his talent ! Both the movie and his role on the television were great . I fell, towards this way by so litle korean actors. There a bunch talented ones but Kam Woo Seong deserves more ! For me he is really a true star, being recognized by his talent as acting. A. Nony Mouse Oct 12 2009 2:44 pm I seldom leave comments but this man deserves one. I love his understated acting and the chemistry he had with his female counterpart in Marriage is a Crazy Thing. I've since been searching out and ordering movies where he has had a role. The other thing that needs commenting on is: He has got the most adorable cheek dimples I've ever seen!